Our TurnKey Cloud-Hosted Virtual Servers (VPS) offer the highest level of service and the ultimate combination of performance, value, security and ease of use for your hosting needs. Our VPS's are far more flexible than other hosting options giving your organization full control over the security settings, choice of operating system, control panels, software configuration, and applications. 640,000 IOPS - What does it mean for performance? Input/output operations per second - or IOPS - are the number of reads/writes that a hard drive is capable of performing per second. It is the industry standard for measuring drive speed, which is traditionally the bottleneck of any computing environment. The hard drive running in your computer right now, assuming it isn't already failing, is most likely about 80 IOPS. Your new TurnKey Internet VPS will be 12,000 times faster than that. Can you imagine? Backed with bulletproof reliability, our virtual private servers offer the perfect balance of value, performance, and ease-of-use. 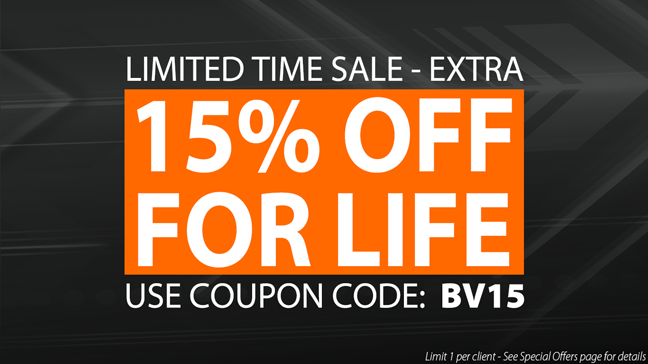 All VPS packages include 100% network up-time, 24/7 support, and a 30-day money-back guarantee! Turnkey Internet offers a full suite of managed hosting services such as server back-ups, hands-on system administration, intrusion detection protection, and advanced firewall protection services. Select from Linux or Windows operating systems. Choose control panel software from cPanel, Plesk and DirectAdmin. Add powerful software from SmarterTools Bundle, Softaculous and more. What is a Cloud Server / What is a VPS? A Cloud Server also known as a virtual private server (VPS) is a virtual machine that runs it's own copy of an operating system. A Cloud Server gives you superuser-level access to that operating system instance to run and install almost any software that runs on that OS. Common uses for a Cloud Server is running applications that your office or colleages need to remotely access like e-mail, Office, file sharing, quickbooks, and hosting a web server in a secure environment. Each Cloud Server is provisioned guaranteed dedicated resources and real, physical hardware. Fully-isolated from all other Cloud Server machines on the host machine, KVM technology allows near-native performance with the ability to compile and load your own kernel modules. cPanel is available for Linux only. DirectAdmin is available for Linux only. Plesk is available for Linux & Windows. Log in to your Cloud Server via SSH, follow the instructions, select GNOME or KDE desktop environments, and connect up with your favorite VNC client in less than 30 seconds! A basic default installation of the popular Nagios monitoring software, complete with Nagios Plugins, NRPE, NSCA and NDO UTILS. A basic default installation of the popular RRDtool-based graphing solution, Cacti! "DNS Only" is a free platform provided by cPanel to create redundant DNS clusters. This is very useful if you own a cPanel server and want a reliable, redundant DNS configuration. A ready-to-go, pre-installed control panel to fully automate managing your new server. We have instant-ready Cloud Servers with cPanel, Plesk and DirectAdmin for you. Each Cloud Server is provisioned dedicated physical hardware, fully-isolated from all other Cloud Server machines on the host machine by using 100% hardware-assisted virtualization, and powered by Intel® VT technology. KVM technology is the next best thing to a real dedicated server. This means you can install and run any operating system such as Linux, Server 2008/2012, and Windows 8/10, to run as a Cloud Server hosting machine inside your single purchased Cloud Server! FREE SmarterTools Bundle, an $800 Value! We only use genuine 100% enterprise-class servers, owned by us and hosted in our own green datacenter located in New York. Our servers are fully optimized and loaded with the latest operating system and software you select at checkout. Our Cloud Workers offer Dual Deca and Octa-Core CPU's delivering up to 40 visible CPU's to your web applications! We do not overload our servers, and pride ourselves on offering the highest performing hardware in the industry to our clients. Do you over subscribe, or oversell - are my resources guaranteed? We do not oversell or over-subscribe our Cloud Server nodes. Your server resources are guaranteed, provisioned, isolated and dedicated to you: this means terms like "Burstable RAM" do not apply, as you are guaranteed 100% of the RAM you selected when purchasing your Cloud Server. What support is included with my Cloud Server? We provide support for hardware issues, network issues and anything relating to the host machine. You have access to reboot, reformat, and reload your operating system at any time through the TurnKey Cloud Server Administration panel. We also offer optional Managed Service Plans that you can choose at sign-up which include additional support elements such as hardening your server, setting up a firewall, troubleshooting and customizing server software components such as Apache, IIS, Mail, MySQL and anything part of the operating system. Yes, we offer fully automated bare-metal KVM based backups generated monthly or weekly, as well as optional R1soft file level backups. If you are purchasing control panel software such as cPanel or Plesk, you would also have the ability to automate account level backups within this software. Yes - a 30-day, no-questions-asked, money-back guarantee is available to all new customers. Please note, certain bonus items with Reseller packages, such as the 2048 Bit SSL certificates, are non-refundable and are clearly indicated before activating, and will result in a pro-rating of the refund should you activate those certain bonus features prior to requesting a refund under our money back guarantee. All major credit cards including VISA, MasterCard, American Express, Discover, VISA/MC debit cards. We also accept Paypal, Paypal e-Check, Moneybookers, and Bitcoin via BitPay. While it may seem incredible to offer these amazing prices and discounts, the reality is, in the datacenter and cloud hosting business, the cost of electricity is the largest expense. With our new on-site solar power system, we produce much of our own energy, at a substantially reduced cost for power compared to traditional datacenters. Our other green technology investments, such as Smart Aisle precision cooling and Cold Containment Systems, provides 33% greater efficiency over traditional datacenters, further reducing our electricity utilization - all adding up to a lower impact to the environment, and lower cost of providing the reliable services we deliver to you.